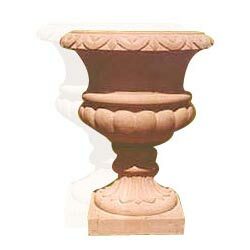 A carved stone flower vase welcoming the guests at the doorstep or adorning the patios or hallways, our stone vases are beautiful even without the flowers in them. 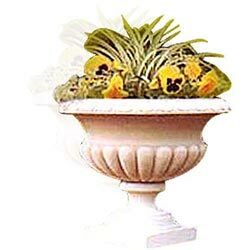 With flower arrangements, they look marvelous. 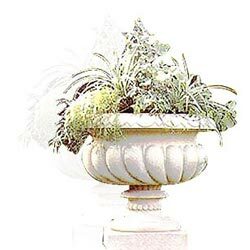 Dimension : Top-18" x Bottom-7.5" x Height-12"
Decorate the entrance with sober Flower vase to add to the beauty. 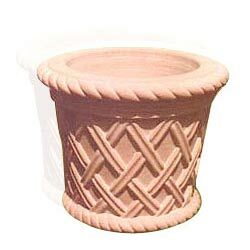 Dimension : Top-21" x Bottom-14" x Height-15"
The Basket Weave Design Flower Vase for the earthy looks. 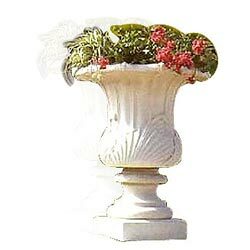 Dimension : T0p-16" x Bottom-7.5" x Height-18"
Use blooms with long stems and enjoy the additional freshness with this traditional flower vase. 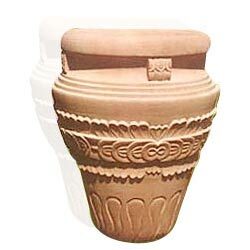 Dimension : Top-27" x Bottom-15" x Height-25"
Dimension : Top-33" x Bottom-16" x Height-38"
An entrant to your house can only say "La Bella" with this exquisitely crafted flower vase for day-light blooms. 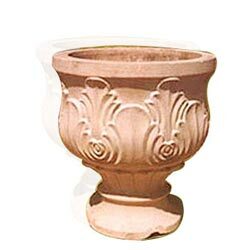 Dimension : Top-21" Bottom-12" x Height-17"
An entrant to your house can only say "La Bella" with this exquisitely crafted sandstone flower vase for day-light blooms. 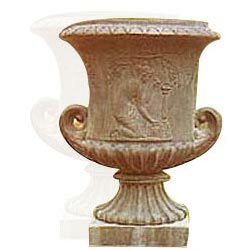 Dimension : Top-13"x Bottom-7" x Height-16"
A royal piece of craftsmanship will add flair to your hallway and rooms.